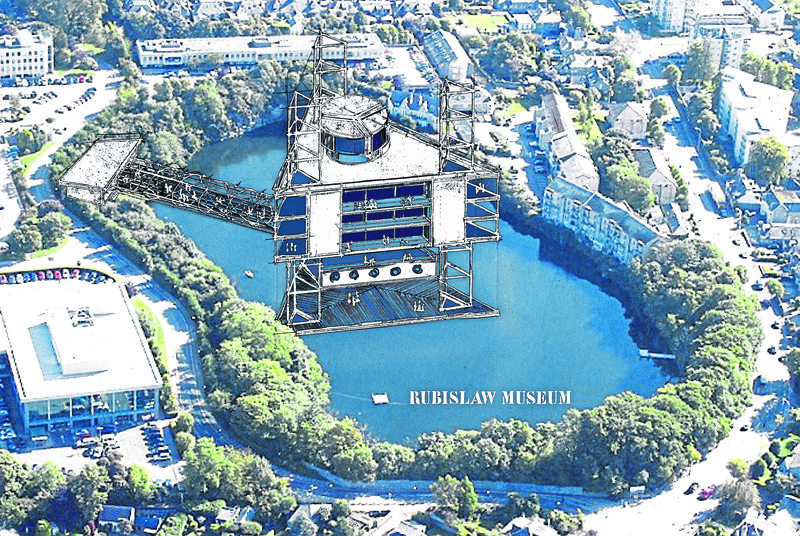 An architect’s alternative vision for Rubislaw Quarry in Aberdeen has received backing from an award-winning and internationally renowned designer. George Simpson, from Oldmeldrum, has put forward a vision to recycle an oil rig and transform it into a visitor attraction by putting it inside the historic quarry, which gave the Granite City its name. 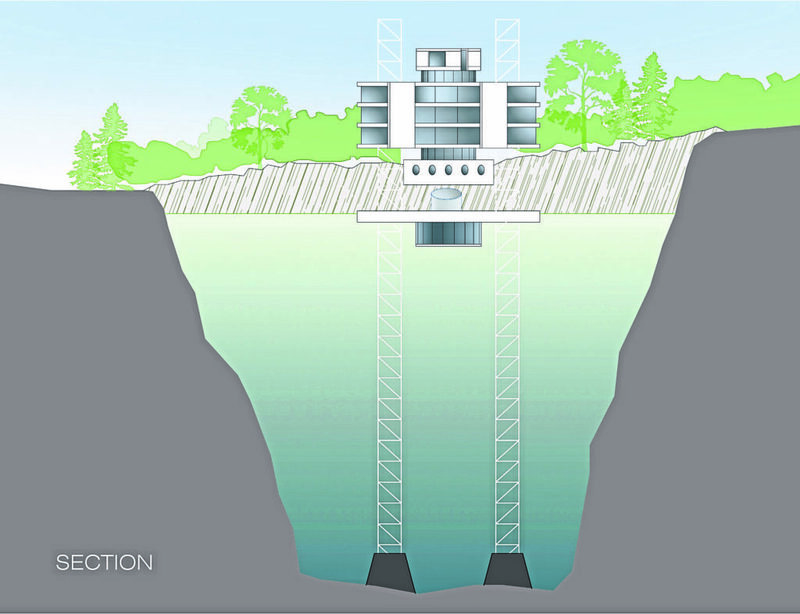 Mr Simpson’s proposal, which would incorporate a museum, underwater restaurants and diving bell trips, has been designed to celebrate the north-east’s granite heritage, as well as its relationship with the oil and gas industry. And now his idea has been given the support of Caroline Bos, co-founder of the Amsterdam-based architectural practice UNstudio. Ms Bos met with Mr Simpson at an architects’ convention in Aberdeen last month, where she was invited to speak about her company’s projects, which includes the Erasmus Bridge in Rotterdam and the Mercedes Benz museum in Stuttgart. She said: “I met George Simpson in Aberdeen in May, when I was taking part as a speaker at the Royal Incorporation of Architects (RIAS) in Scotland convention. “He recently contacted me again, introducing a proposal he has for the Rubislaw Quarry site. “I find the idea interesting, as we are always predisposed to innovative, technological public projects that push the boundaries. Mr Simpson said: “There was a lot of talk at the convention about what will happen in Aberdeen after the oil goes. The topic came up that we should be pushing for developments of the future along the same lines as the V&A in Dundee. “I sent her copies of my drawings and she came back to me saying that she thought they were pretty spectacular. Aberdeen City Council’s planning committee will today vote on a £68 million planning application from Canadian developer Carttera to build 299 flats, a gym and a “mini-museum” on the northern edge of the historic site. The proposal has received backing from council officers and the Aberdeen and Grampian Chamber of Commerce. However, it has also received more than 250 objections. OPINION: Microsoft data centres - why Orkney?